Utilizziamo i cookie per essere sicuri che tu possa avere la migliore esperienza sul nostro sito. Acconsenti all'uso dei cookie Chiudendo questo banner. Per saperne di più è possibile consultare l'informativa sulla Privacy del WWF. Once a game reserve, the destiny of Burano lake changed when WWF took over. A beautiful coastal lagoon surrounded by sand dunes and Mediterranean maquis ... Burano is a true Oasis! The Burano Lake protected area is the first WWF Oasis. 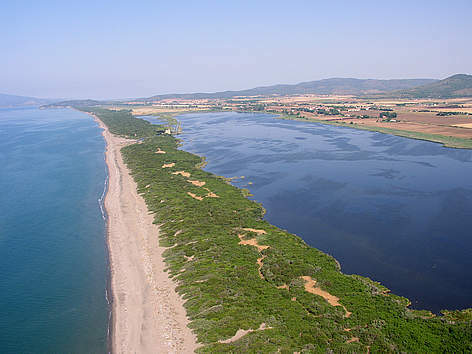 It includes coastal sand dunes, Mediterranean maquis and a salty lake dominated by a tower. What is called “Burano Lake” is in actual fact a coastal salt pond. 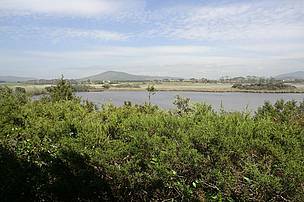 It is what remains of an ancient lake today connected to the sea through a semi- artificial canal that can be opened according to management needs. The pond has a water surface of 140 hectares and a medium depth of 1 metre. 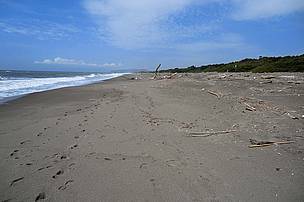 The 12 kilometres long sandy shore is covered by typical dune vegetation. 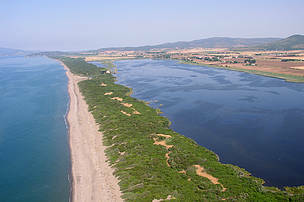 The sand dunes are covered by a Mediterranean maquis that consolidates and protects the background Mediterranean forest from the sea wind. The banks of the lake are mainly surrounded by a bed of reeds and bulrush. 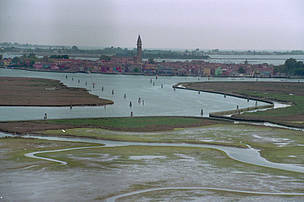 Extensive farming fields separated by draining canals surround Burano lake. It has an extension of 1010 hectares. 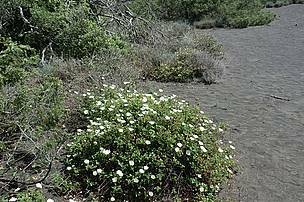 With more than 600 species of plants the rich flora comprises sea daffodil, Santolina, sea holly and European beachgrass near the beach and by western prickly juniper, Phoenician juniper, myrtle, Phillirea, mastic tree and cork oak in the area immediately behind the sand dunes. The lake banks are covered by common reed, bulrush, water lily etc. The rare Teuchestes villosus is still present with approximately 60 other species of lichens. The fauna includes 274 bird species among which tufted ducks, common pochards, grebes, herons, flamingos, and many birds of prey like harriers and ospreys. Small passerines include the Sardinian warble, the Sub-alpine Warble and the Streaked Fantail Warbler. Among the mammals there are porcupines, badgers, foxes, beech martens, least weasels and the rare European polecat. The sand dune beetle fauna is also very rich comprising 233 species including the very rare Eurynebria complanata. In the last few years the area is also a breeding site for the monarch butterfly, the death's-head hawk moth and the Lelya cenosa, a small night butterfly whose caterpillars feed on the common reed. 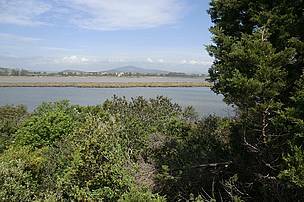 The guided tour follows a sand bar (Tombolo) that divides the sea from the wetland. 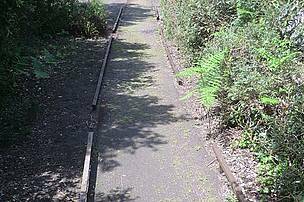 The path is approximately 2 Km in length. It is completely flat and of easy access even after storms. The visit takes about 2 hours to complete. 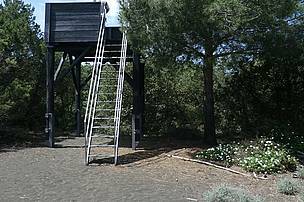 Visitors are introduced to the nature reserve giving ample space to the plants, birds and invertebrates of the reserve. 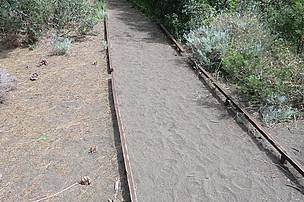 Where encountered staff help visitors to identify the mammals tracks observed along the trails. Open from September 1st to May 1st, the reserve can be visited only with a tour guide on Sundays at 10.00 am and 2,30 pm (3 pm during daylight saving months). Guided tours for groups and schools are available every day on booking. Summer visits on Mondays, Wednesdays and Saturdays only by booking at 5,30 pm. 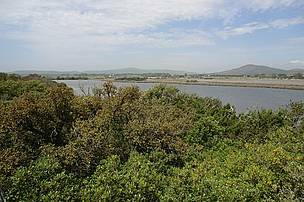 The nature reserve is located in the south of Tuscany, in the municipality of Capalbio (GR). Take the S.S. n.1 “Aurelia”, and turn off at the junction for Marina di Capalbio at Km 133. Another very convenient option is to take the train (Rome- Genoa line) and get off at the Capalbio Scalo station. The visitor centre is located only a few minutes away from the station. 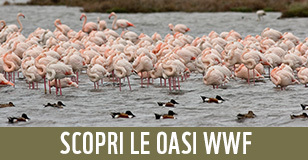 We suggest you also visit: the WWF Oasis of Orbetello and Oasis of Bosco Rocconi, the medieval village of Capalbio, the Spacco della Regina, the Tagliata Etrusca, the Roman settlement of Cosa and the Tombolo della Feniglia Nature Reserve. 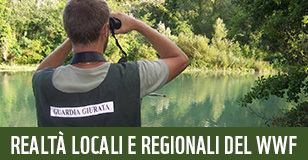 At the WWF Giannella farmhouse (Strada provinciale della Giannella Km 4) through advance booking. Tickets can be collected directly at the guesthouse. Anywhere in Capalbio it is possible to taste the acquacotta (a soup of probable Etruscan origin) and naturally the famous tortelli toscani (sort of ravioli made the Tuscan way). Agrifoglio Agritourism- Capalbio phone n. 894010. 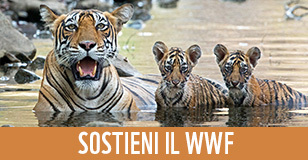 Foto e grafica © WWF o utilizzati con il permesso. Testo disponibile sotto una Licenza Creative Commons.